Available to ship: Within 2 business days. Rich, authentic textures involve more than simple color, and it’s hard to develop 3D materials in a 2D environment. 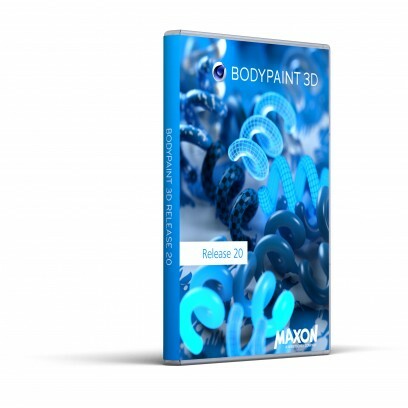 BodyPaint 3D offers a full 3D painting workflow, where you can paint complete materials in a single brush stroke. Production Proven: From games to film, BodyPaint 3D is the choice of texture artists around the globe. BodyPaint 3D’s unmatched stability has helped Hollywood artists paint huge, highly detailed textures for film, and unique workflow features make it an ideal choice for creating game textures. All in One Solution: The BodyPaint 3D toolset is available in every edition of Cinema 4D, and many of C4D’s basic features are available in the standalone version of BodyPaint 3D. Cinema 4D users can switch seamlessly between modeling, texturing and animation tasks while dedicated BodyPaint 3D artists benefit from Cinema 4D’s procedural shading, lighting and animation systems. .PSD Support: With full support for layered PSD files, it’s easy to paint textures in both BodyPaint 3D and Adobe Photoshop. Specific views can be exported to Photoshop and reprojected back onto the 3D model in BodyPaint 3D. You can even load your favorite Photoshop brushes into BodyPaint 3D. Great Tablet Support: BodyPaint 3D goes beyond basic pen input, offering a unique interface to fully control how pressure, tilt, direction, rotation and barrel roll affect any brush attribute.